Through a SAMHSA grant, Family Service Agency (FSA), Mental Wellness Center (MWC), and the YouthWell Coalition are able to provide more community education around mental health as a way to support youth in our community. Contact education@youthwell.org to learn more. Family Service Agency (FSA) has long been regarded as one of Santa Barbara County’s most reliable and effective nonprofit human service organizations. Our mission is to strengthen and advocate for families and individuals of all ages and diversities, helping to create and preserve a healthy community. Established in 1899, FSA improves the health and well-being of our community’s most vulnerable children, families and seniors by ensuring access to food, shelter and other basic needs, as well as providing youth mentoring, case management, substance abuse treatment, advocacy, and a wide-array of mental health programs. 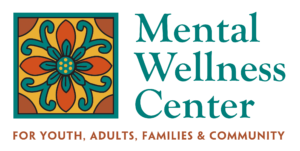 The Mental Wellness Center works with thousands of people every year to improve and maintain mental wellness. Our community-based nonprofit organization specializes in helping individuals in three ways: (1) We help adults with mental health disabilities meet critical and basic needs as a foundation for their wellness; (2) We offer courses and activities for teens and adults to learn and practice self-management skills for better self-regulation; and (3) We educate youth, families, and community groups about mental health so that we can take better care of ourselves individually and as a community. We are working toward a future when the importance of prevention and effective, early intervention to treat mental illness is recognized. We believe in recovery at any stage. We’re here to help with the concerns and challenges of better mental health across the spectrum. The mission of the YouthWell Coalition is to connect youth, ages 12-25, and their families to mental health supports before the crisis. Mobilize community stakeholders, service providers, schools, and caregivers to establish priorities and set goals, in order to create a coordinated and comprehensive system of care focused on early intervention, prevention and education. Visit youthwell.org to find local resources.